Welcome to Tofino Yoga! 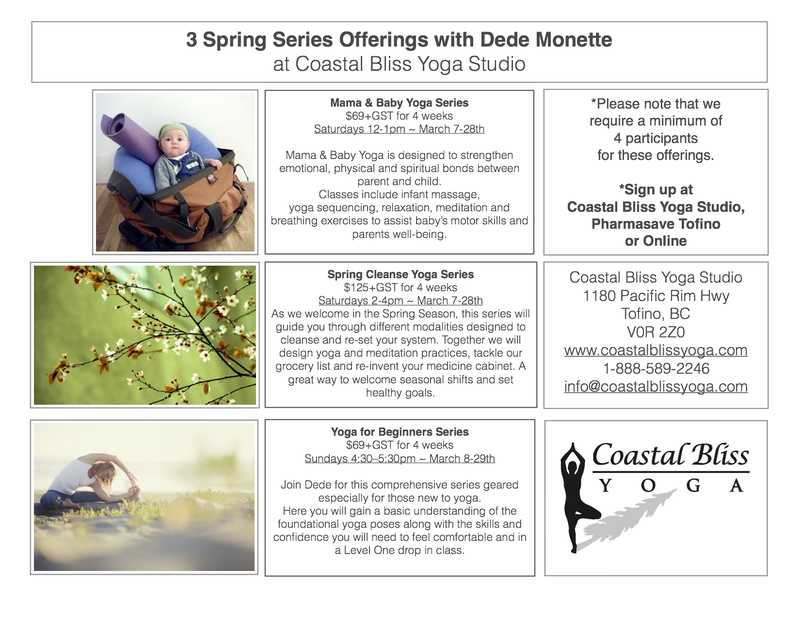 Check out our upcoming Yoga Workshops including a 4 week series with Coastal Bliss Yoga and founder of Tofino Yoga, Dede Monette. Workshops include Mama & Baby Yoga Series, Spring Cleanse Yoga Series, and Yoga for Beginners.